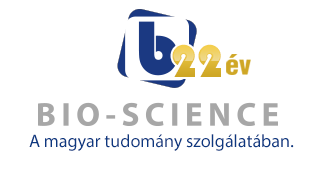 Az "Incubator Subchamber Culture Systems" egy praktikus kiegészítés az inkubátorokhoz. A meglévő inkubátorok hatékonyabb kihasználását teszi lehetővé. A "Subchamber System" tulajdonképpen egy vagy több kamra az inkubátor munkaterében elhelyezve. A kamrák gázszabályozása az inkubátortól függetlenül történik. Thee incubator above shows a custom Subchamber System with optional pressure controller. The Incubator Subchamber Culture System gives you unprecedented new power to perform research and culture cells in numerous ways using existing incubators! Incubator Subchambers are chambers that sit on a shelf inside your incubator. Cells can be cultured inside. Standard SubChambers called "C-Chambers" are translucent plastic boxes with a hinged semi-sealed front door. There are several sizes. You place your culture vessel inside the C-Chamber on slide out trays, just like incubators have. Once the host incubator door is open, just open the one additional small door of the C-Chamber to access the cultures. Consider the possibilities when these cells inside the Subchamber are isolated from the rest of the incubator. They take advantage of the temperature control in the host incubator and assume the same temperature, but otherwise the isolation gives you many advantages. Not many labs need much O2 controlled incubator space. Even though incubators are available that include oxygen control, SubChambers can be much more space efficient. Probably 9 out of 10 incubators with oxygen control have only a few plates inside. The rest of the incubator is wasted. A Subchamber offers the perfect size for a few plates or flasks. You can size the Subchamber to your needs. With the appropriate BioSpherix oxygen controller (Proox Model 110, Proox Model C21, various OxyCycler models), SubChambers offer the first practical and convenient and appropriate sized O2environment. The rest of the incubator goes undisturbed. No extra lab space required beyond what your existing incubator takes up. Another advantage has to do with the full range of O2 tensions easily achieved in SubChambers. Incubators with oxygen control are usually very limited range, usually 2-20%. In SubChambers, if you need as low as 0.1% or as high as 99.9%, you can have it. No problem. Another advantage is when you need to make sure your oxygen cultures are not disturbed when the incubator door is opened. If you don't open the Subchamber, the oxygen biosphere inside will not be interrupted when the incubator door opens and air rushes in. 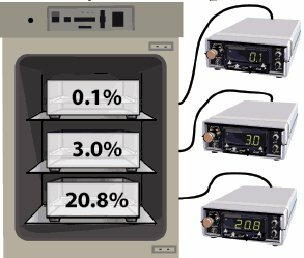 In conjunction with a variety of different BioSpherix's biosphere controllers, many different conditions can now be created inside your incubator...using SubChambers. The most popular application is oxygen culture, but many other biospheres are also now available. Special CO2exposures are of course possible, and the exciting new bioactive gases NO and CO as well as others. Let's look at oxygen first. Another advantage is gas efficiency, gas consumption in an entire incubator is unrealistically high. Due to the smaller volume and four size options, SubChambers will consume very little gas. This difference in gas consumption can mean the difference between doing the oxygen culture or not. Another advantage is when you need multiple oxygen biospheres. If you need to simultaneously expose your cells to, say, 0.5% oxygen, and 5% oxygen, and 50% oxygen, multiple SubChambers could do it. Run one Subchamber at 0.5%, and a second one at 50%, and place them both inside an incubator with oxygen control at 5%. That gives you 3 different oxygen biospheres in one incubator! Another advantage is when you need to transport your cultures. A Subchamber can be a handy transport chamber. Just disconnect it from its controller, and move it out of the incubator and take it to a distant location. Except for temperature, the biosphere will remain intact, and the cultures will not be directly exposed to room or people contamination during the transfer.